TE Happy 9th Birthday Tag! Hello! 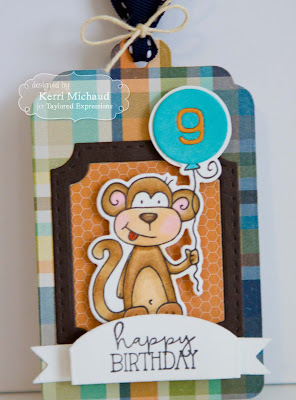 I have a fun little birthday tag to share with you today using one of the super adorable images from the Balloon Buddies Stamp Set along with the fab Circle Numbers Dies. 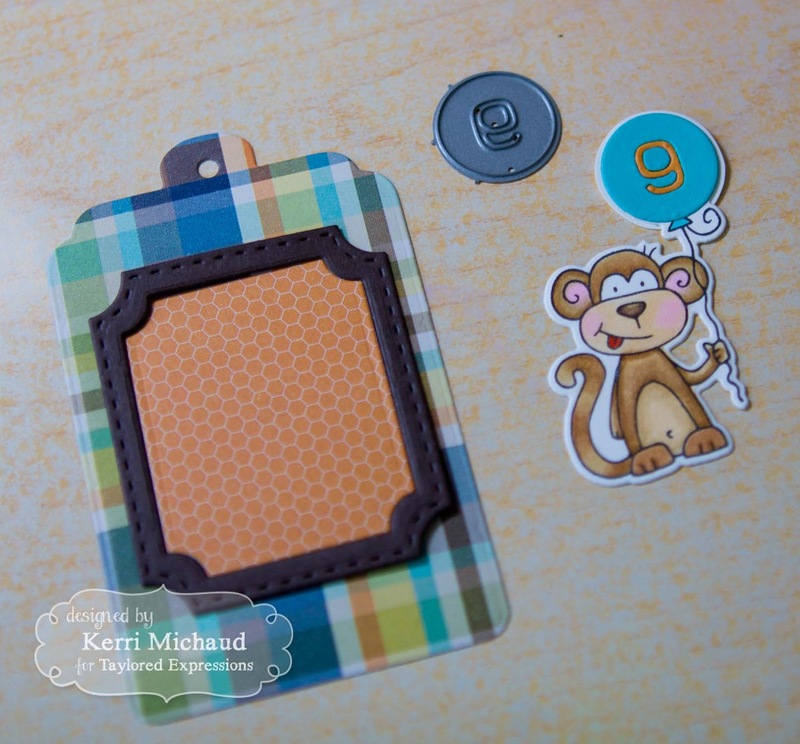 I also used the Build a Tag 1 Dies to create my tag. To start, I stamped the darling monkey using Oreo Ink onto some Sugar Cube cs and colored with Copics. I cut it out with the coordinating Balloon Buddies Die. I then used the #9 Circle Number Die to cut a piece of Cookie Monster and Candy Corn cs, then replaced the balloon in the image with the circle number. Since the rest of the image has a white outline from being cut with the coordinating die, I free cut a white circle outline to place behind the balloon. 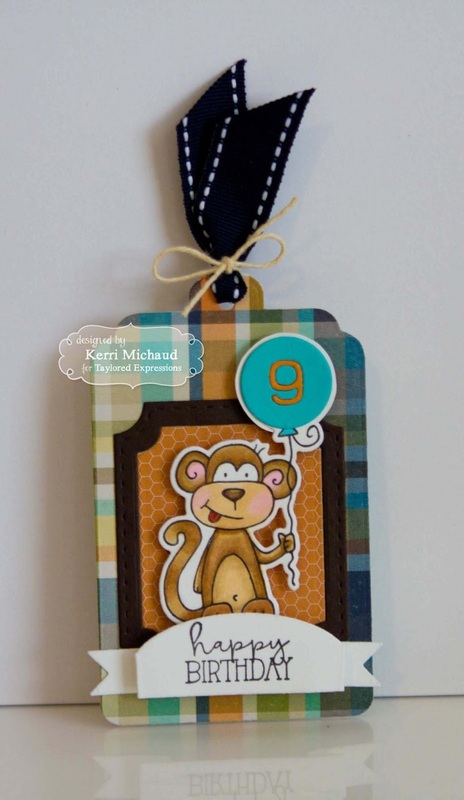 I used some Simple Stories So Rad dp to create my tag base and some Chocolate Truffle cs to cut out the frame. I popped my image up with foam tape over the frame and then stamped a sentiment from the Let's Talk Sentiments Stamp Set onto the included banner die. Finally, I added some navy ribbon to the top and it was complete! So cute! So cute, Kerri! I love your discovery that the circle number fits with this balloon buddy!